As our mission to make dream wedding come true, we have just launched the new look of Statistic Dashboard that collect wedding details of the engaged couples who visited our site. 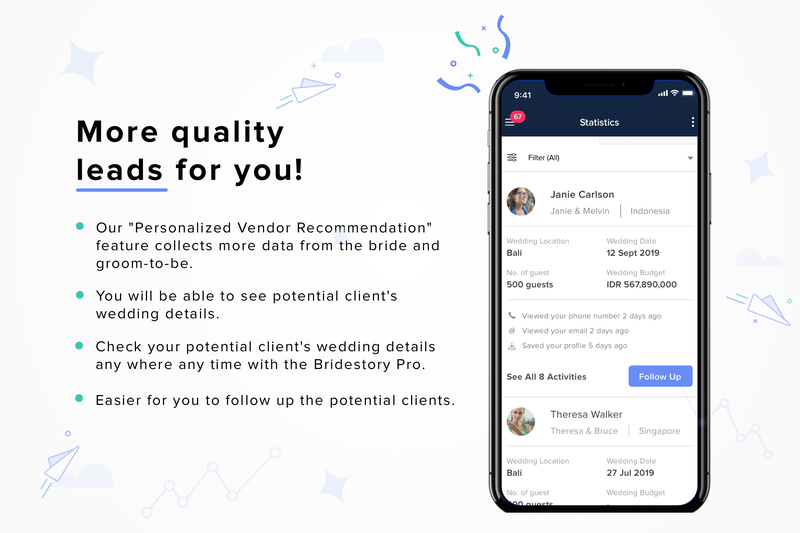 Along with the "Personalized Vendor Recommendation" feature that is equipped on the latest Bridestory's homepage, users are now able to fill in their wedding details, such as wedding location and date, preferred budget, and their number of guests. As a result, you will acquire more specific data about the clients' upcoming wedding and this way, you can analyze their needs before making a further approach. 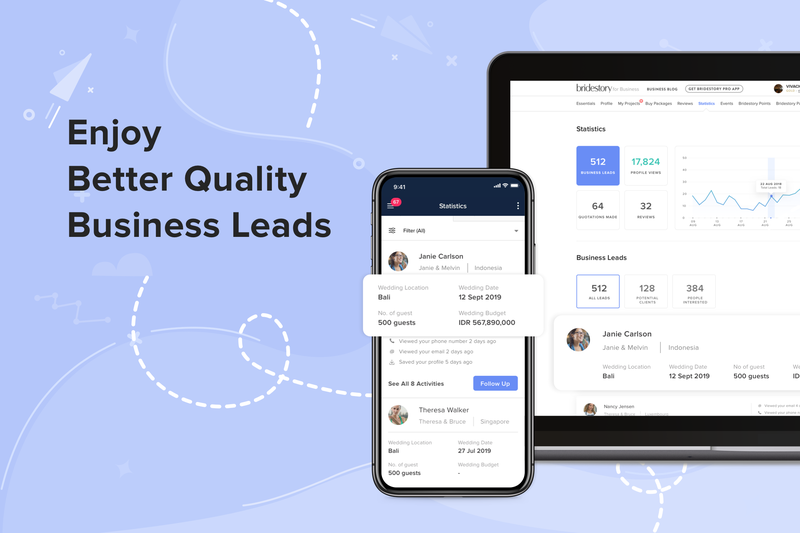 Once a list of potential clients shows up on your Statistic Dashboard, you can follow them up on both desktop and mobile app. So, make sure your Bridestory Pro app is updated to manage your business on the go! 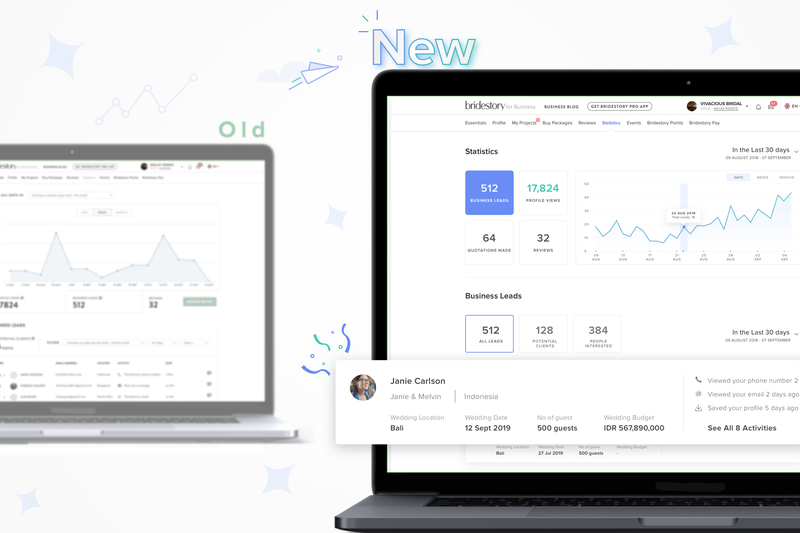 Let us know your experience and thoughts on our latest feature! Don't hesitate to reach out by dropping an email to support@bridestory.com.